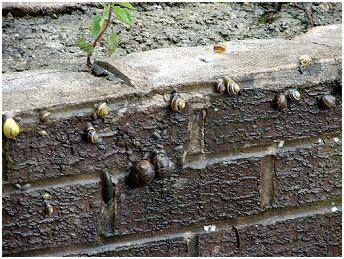 Snails on floating wood attempting to reach the wall. 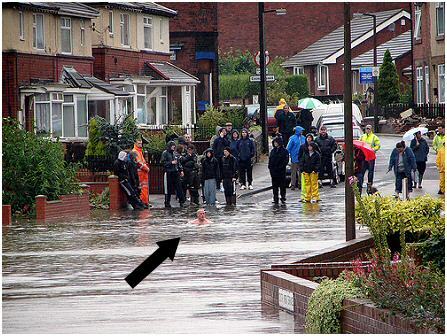 Man batheing in the water. 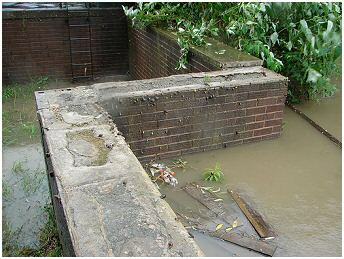 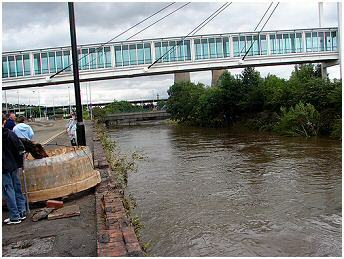 Wall destroyed by the River Don next to Meadowhall Road. 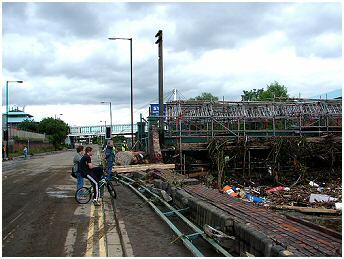 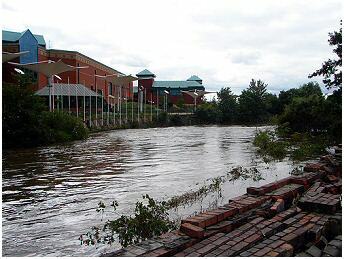 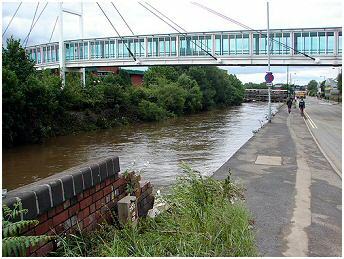 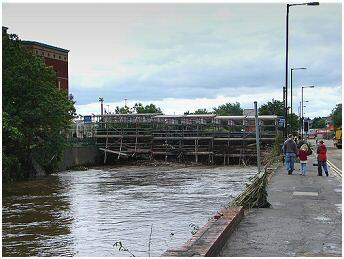 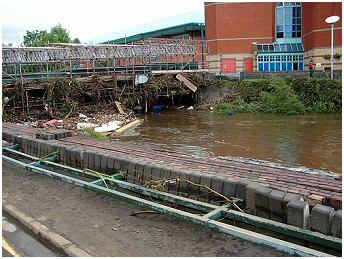 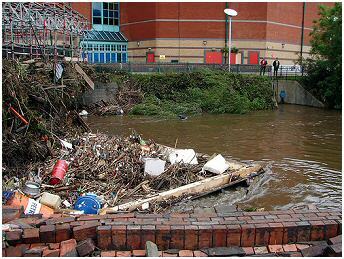 Footbridge covered in flood debris, next to Meadowhall Shopping Centre. 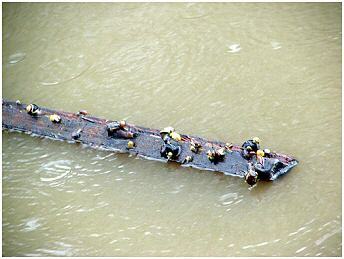 The flooded billboard and snails crawling up the wall for safety. 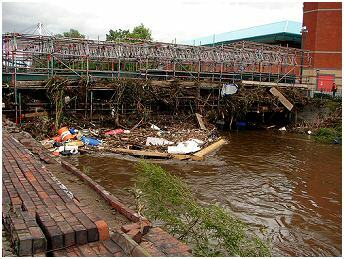 More flood debris on the river Don. 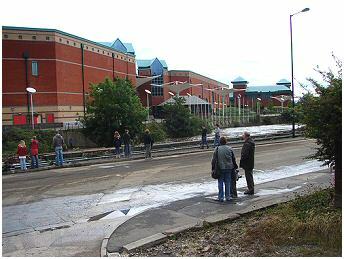 The aftermath on Meadowhall Road. 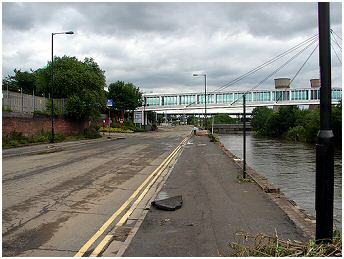 No Traffic !!! 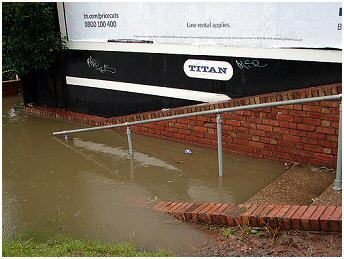 Dangerous Road. 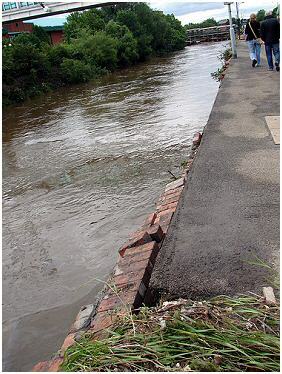 It has taken almost a year for this wall to be repaired.